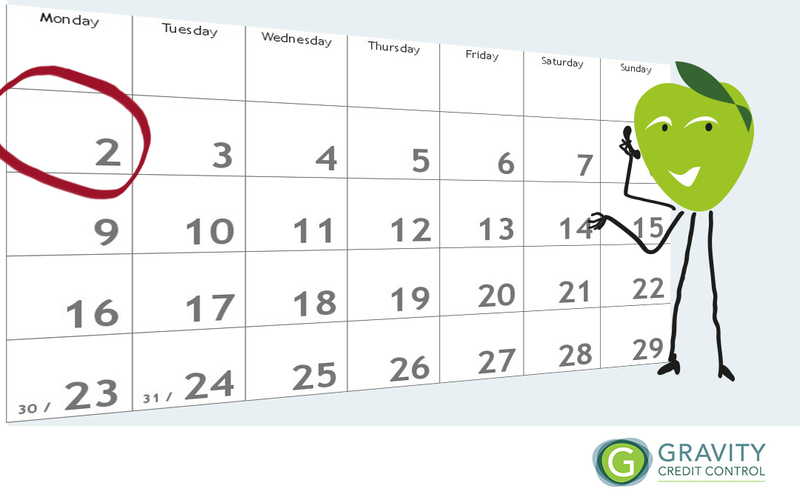 So, what is the best day of the week to send an invoice? Here at Gravity Towers we think a lot about ways to get our clients paid quicker. This might make us sound like a bunch of sad anoraks, but if we get our clients paid quicker our clients are happier, and happy clients are the sorts of clients we like! Over the last decade most people have moved away from sending invoices out by post to sending invoices by email. Quite right too we say. Who needs another “it didn’t arrive in the post” excuse? After some thought I decided to do some research online to see what, if any was the consensus on this. Self titled Entrepreneur & eCommerce geek Dejan Jacimovic has got a very definite, yet not particularly scientific view on the subject that states Tuesday is the right day, with sometime just before the start of work being the right time of day. However, cashflow and forecasting blog ‘Vistr’ take a much more scientific view based on the analysis of 300,000 invoices. They say the answer is to send an invoice on the weekend for payment 10 days quicker. So who is right? What is the best day of the week to send an invoice? Well actually we take a slightly different view, a view that sits quite comfortably between the suggestions posed in the above articles. Firstly, our view is ideally you don’t want to send invoices at the end of the working week. Personally, I can’t see the weekend being any real advantage. For a start, by the time the inbox is opened on Monday your invoice could be buried down the list. The easiest and most general answer to the question – at least in our experience – is to send the email for delivery just before the start of the day on a Monday – around about 8am should work quite well. We are currently working with a client moving invoicing from monthly to weekly and in taking this approach we are finding this has resulted in a big improvement in cashflow. But really the key is not to generalise, one company to the next might find different results. Ultimately, each business has its own particular cycles that may dictate invoicing runs – from receipt of time sheets to delivery dates. Understanding your own business as well as understanding that of your clients is always the best way to get paid quickly. Of course, this might not always be the easiest thing to do, understanding your own company is one thing, but understanding the inner working of your clients is another thing altogether. This is of course one of the big advantages to outsourcing your credit control. Our experience stands having worked with an incredible array of different types of business. Over all the years of doing this we have found some businesses respond better to receiving invoices at different times. That being said, Monday morning, timed so it lands under the nose of your client just as they are taking the first sip of their first Monday morning coffee is in our experience the default, and more often than not reaps good, if not the best possible results. I will talk a bit more in coming blogs about invoicing and related topics, and will be sharing plenty more tips to help you get your invoices paid faster. If you would like to keep up to date with these tips, don’t forget to sign up to receive our email updates. In the meanwhile though, what is the best day of the week to send an invoice in your opinion? Comment below, we’d would love to hear from you!